Ashwagandha, a popular herb in Ayurvedic medicine, has a long history of use as an adaptogen -- a substance believed to improve the body's defenses against physical and mental stress. 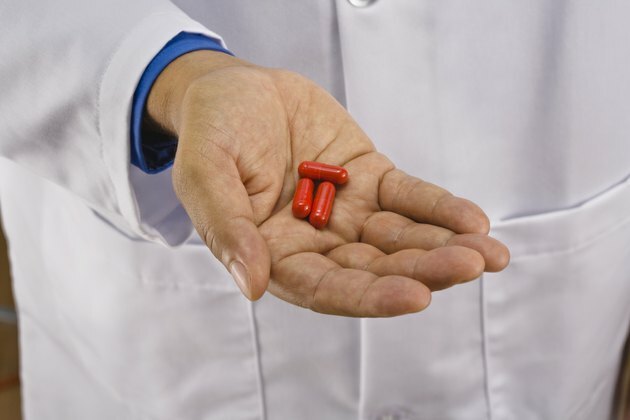 Limited information exists on suggested dosages, probably due to the lack of research performed on the use of ashwagandha, as noted by the University of Pittsburgh Medical Center. Some guidelines have been suggested, however. To reap optimal benefit from using herbal medicine, you should work with a doctor knowledgeable in this field who can offer guidance on dosage appropriate for your needs and safe usage. Because of its sedative properties, ashwagandha might induce feelings of drowsiness or sleepiness in some who use it. For this reason, you might need to experiment with the times of day you take it. While generally believed to be safe, ashwagandha might cause other side effects not identified in the limited research conducted on this herb. Drugs.com notes ashwagandha has been reported to have abortifacient properties, meaning it could induce an abortion. Safe use during nursing has not been established. UPMC also cautions against its use if you have liver or kidney disease due to lack of information on whether or not this herb would exert any negative effects on these organs, which are heavily involved in breaking down and processing the substances found in food, drugs and supplements. Using ashwagandha at the same time as sedative drugs could compound their actions and lead to unpleasant side effects like lethargy, weakness and nervousness. Animal research indicates it increases levels of thyroid hormone, which could exacerbate the negative effects of hyperthyroidism, characterized by excess production of this hormone.